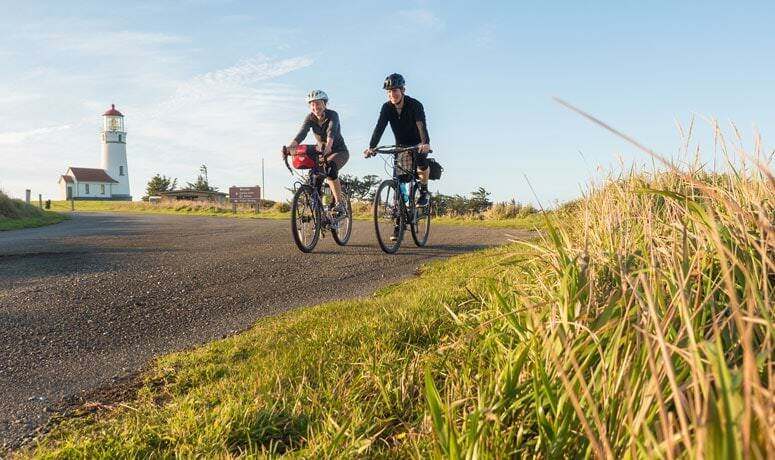 With a variety of route choices within one Bikeway, all on one of the most enchanting stretches of the South Coast, riding the Wild Rivers Coast Scenic Bikeway is a singular pleasure you can customize to fit your definition of adventure. When your choices are riding for miles beside a Wild and Scenic River, or exploring lush cranberry bogs, or gazing on towering basalt sea stacks and vast ocean views, or checking out a historic coastal lighthouse, you really can’t go wrong. The 60-mile route (if you ride all the options) is anchored in the quaint fishing hamlet of Port Orford, the oldest town on the Oregon coast. Here you can count on a great cup of coffee, and you’ll find quiet, locally owned hotels and eclectic art galleries. A perfect start point is the historic Battle Rock Park in Port Orford, where you’ll enjoy views of Redfish Rocks Marine Reserve, a protected habitat for marine mammals and nesting shorebirds. From there you can tackle all the route segments in one day, or take your time with several out-and-back rides over a few days. One great option is to head up Highway 101 and take the road out to Cape Blanco State Park. A steady, gentle climb will take you up the coastline and to the tip of the cape, which is the westernmost point in Oregon. Standing sentinel above the crashing surf is the Cape Blanco Lighthouse, the oldest working lighthouse in the state, built in 1870. Photo opportunities stretch out in all directions here as you ponder the life of a lighthouse keeper 145 years ago. Your bike is probably faster than any method of transport they used to get there. For a surprisingly beautiful but counterintuitive choice when you’re at the coast, head inland from the beach for a 17-mile stretch through the Rogue River-Siskiyou National Forest and along the Elk River, a nationally designated Wild and Scenic River, past pools teeming with native salmon and trout and a beautiful old-growth forest in the Grassy Knob Wilderness. Visit the Elk River Fish Hatchery or cool off at one of many swimming holes. 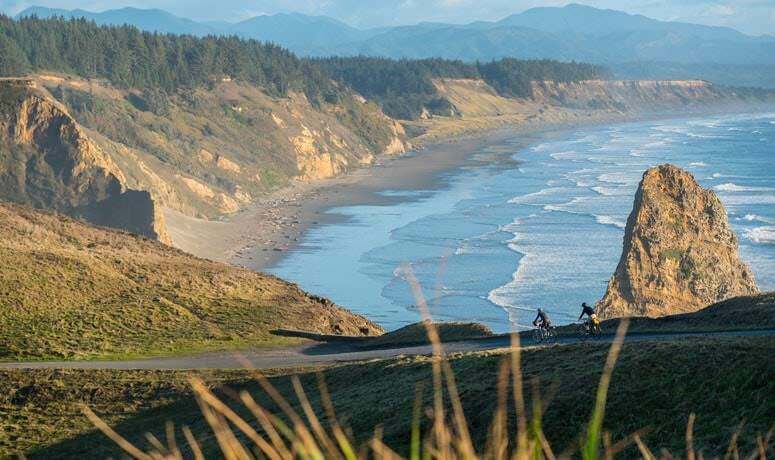 Another out-and-back ride that offers a few easy miles leads from Port Orford to Paradise Point State Recreation Site, where you can pedal up to a sandy beach with sunset-worthy ocean views. If your legs are up for a very steep 1-mile hill challenge, a climb to Port Orford Heads State Park will reward you with history and scenery. Short trails lead to remnants of the town’s history as a Coast Guard lifeboat station. Inspiring panoramic views of the rugged coastline show how far you’ve come — on a clear day, you’ll see Paradise Point, Cape Blanco and the Redfish Rocks Marine Reserve. 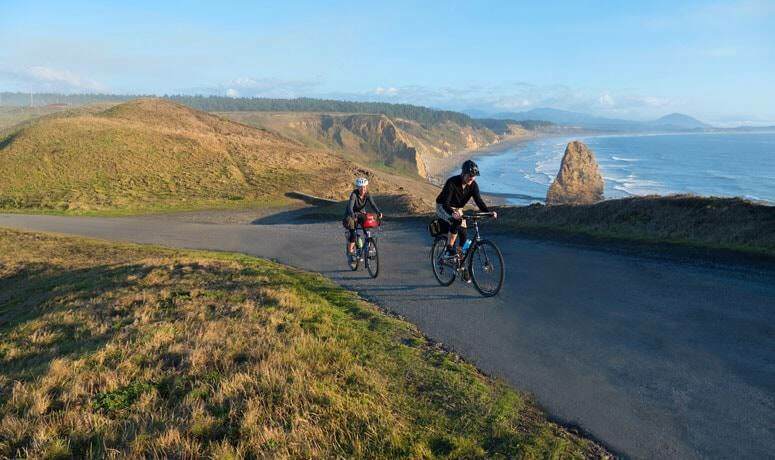 Cape Blanco State Park offers camping with hiker-biker sites and restrooms. 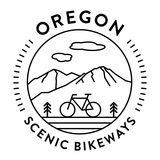 Find more to see and do near this Bikeway at Visit the Oregon Coast and Port Orford Chamber. In addition to visiting TripCheck.com, please contact the USFS Elk River Road Powers Ranger District at (541)247-3636, ODOT District 7 at (541)957-3683 and Terry Richards at the city of Port Orford at [email protected] for current information about road conditions.